Introducing the central heating Muir chrome traditional Victorian heated towel rail. This old style bathroom heated towel rail is wall mounted and is narrow and suitable for small spaces. Finished with in brightly polished chrome plate. Has a good heat output of 1417 BTU. Measuring 750mm high x 475mm wide. Ball joints are instrumental in achieving the traditional or vintage design look for your heated towel rail. Obelia has ball joints at every connection, so you could simply not ask for anything more Victorian or period looking than that! 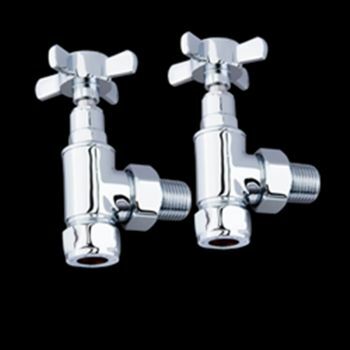 Choose your radiator valves to connect your Obelia to your central heating system or if you want your Obelia to be dual fuel (central heating in summer, electric in winter), see the single and variable heat electric elements and t pieces.